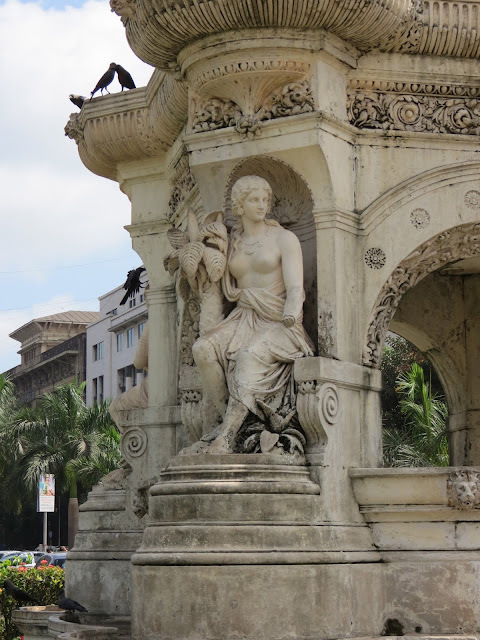 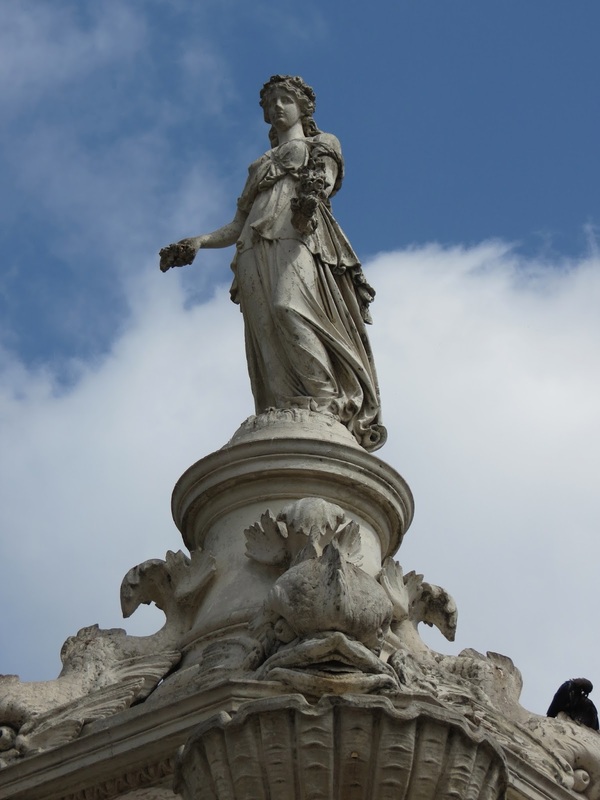 At the centre of Hutatma Chowk (Mumbai's 'Piccadilly Circus') in Fort, stands a beautifully sculpted monument, at the top of which stands a statue of Flora, the Roman goddess of flowers and Spring (not the goddess of low-fat spreads, as Mr Jules once suggested). 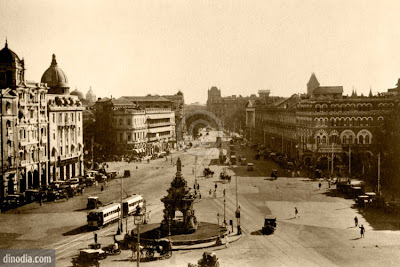 I love this rather refined edifice, as it is a wonderful reflection of the times when Bombay was not overcome with traffic, poverty and rubbish. A time when such monumental gems would have stood out proudly and cleanly. 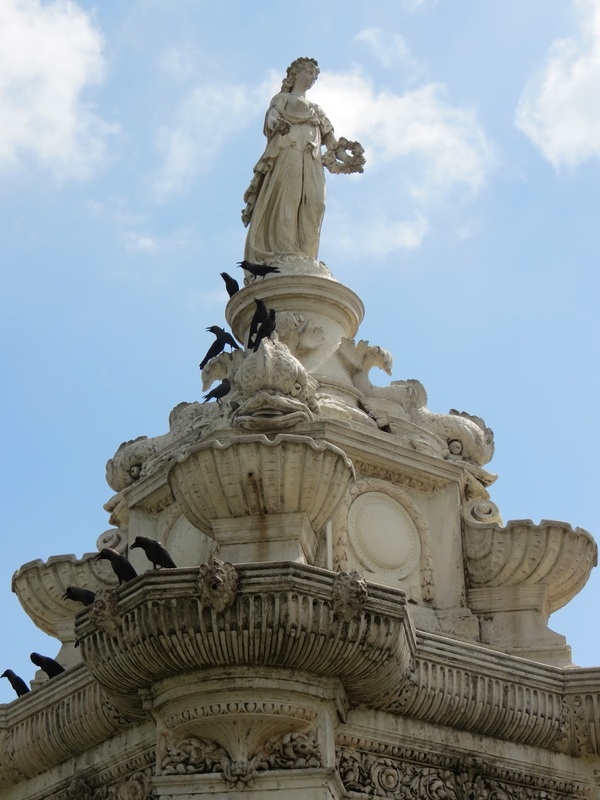 ...it really did look like Piccadilly Circus! 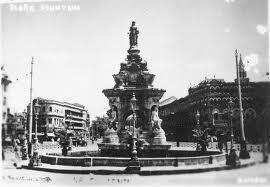 A plaque tells us that the fountain was constructed at a cost of Rs 47,000 (about £550 in today's money) in 1864. 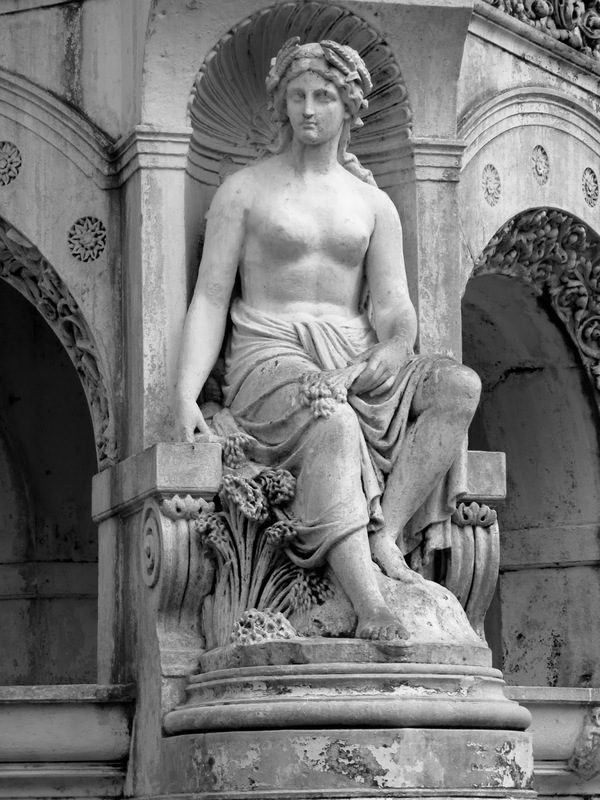 Sponsored by the Agri-Horticultural Society of Western India, it was designed by Richard Norman Shaw and chiselled out of Portland Stone by the sculptor James Forsythe. 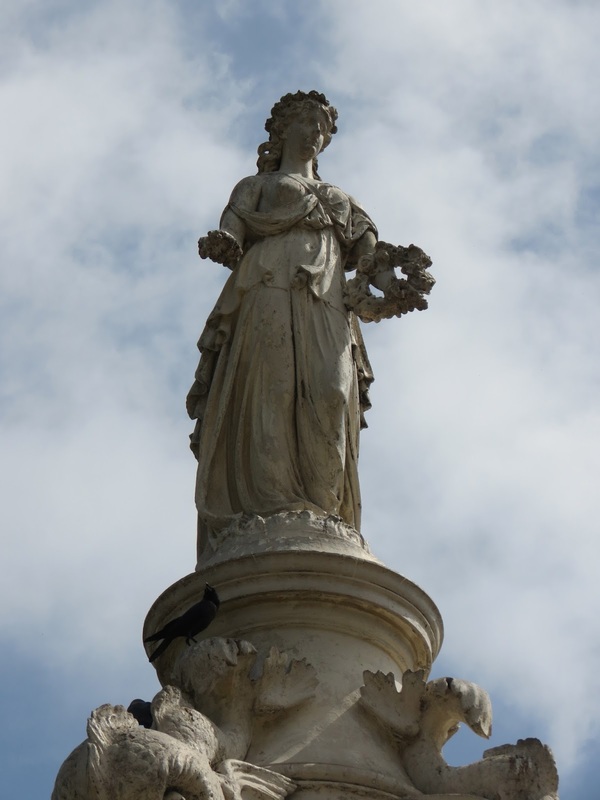 At each of the four corners are more Greek mythological characters. Unfortunately, the fountain does not appear to spray water these days - probably due to the usage restrictions that you find at so many architectural water features all over India. 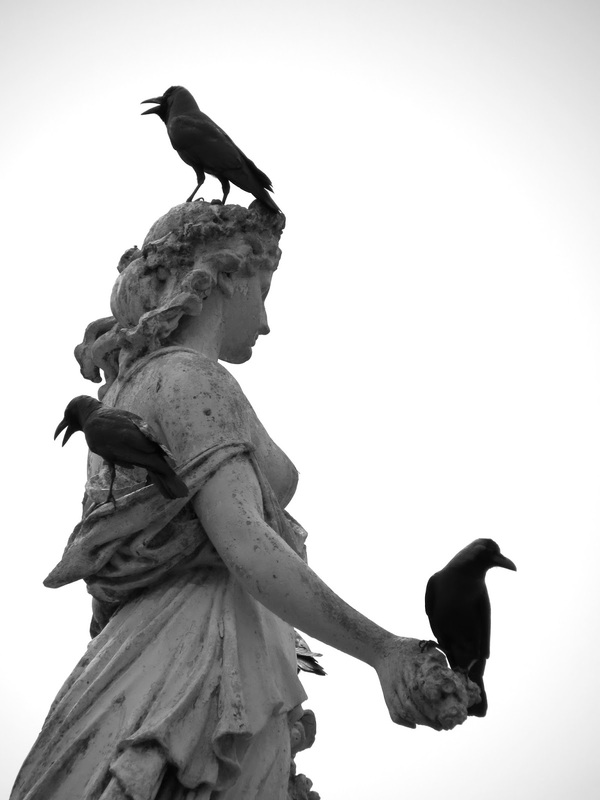 But it does make a marvellous resting place for pigeons and crows. Some pictures...it could be in Rome! 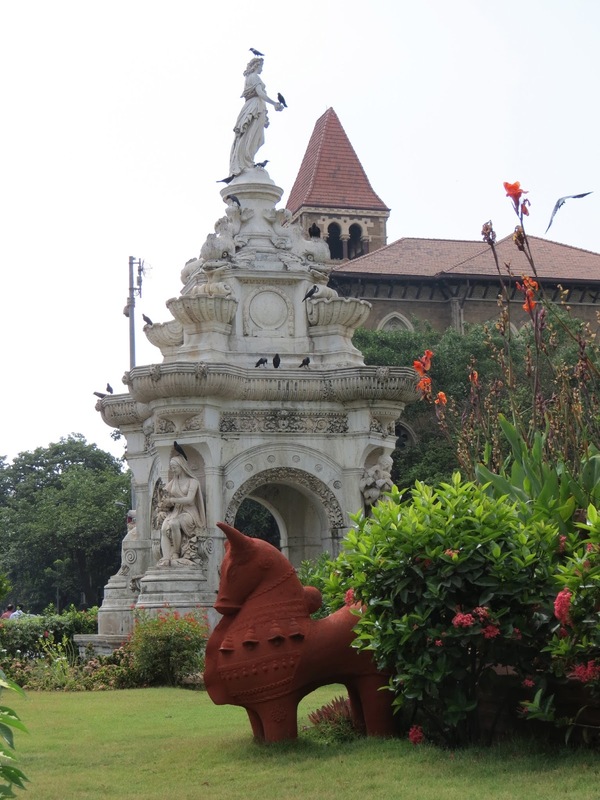 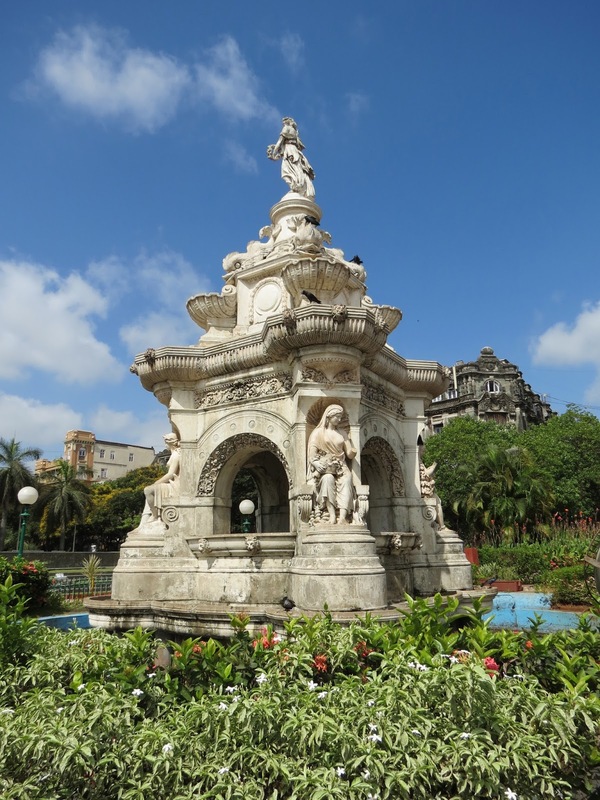 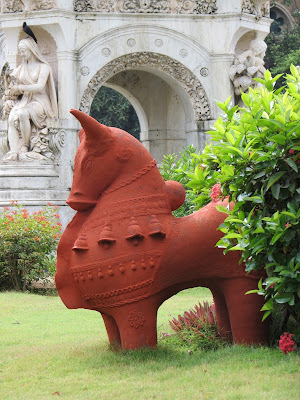 Info: Flora Fountain is within walking distance from Victoria Terminus (CST) and Churchgate Station. The second last pic "Not sure what this is all about..." appears to be made up from red clay and appears to be a bull / aux.